1. Log-In to "My Locations"
Log into your account, and click on "My Locations." Click on the thumbnail of the location/property you would like to edit. If you only list one location, the gallery will just display that location. If you have multiple properties listed, choose the one you would like to make changes to. When your property's page opens up, click on "Edit Location." Then click on "Edit Location Photos." Click on "Browse for Images" to begin upload your location photos by choosing the images from your computer. Each photo should have a minimum width of 1500px (and a maximum width of 2500px). We recommend using image files of less than 500KB, if possible, for best results. If your computer doesn't have the latest Flash update, it's easier to upload your photos using our Basic Uploader option. In that case, simply click on "Switch to Basic Uploader" as shown in the below screenshot. On the next screen, click on the "Choose File" button and select one of the photos you'd like to upload. With the Basic Uploader option, you can only select a single photo at a time. Once a photo is selected, repeat the process until all the photos have been chosen. Then click on the "Upload" button. 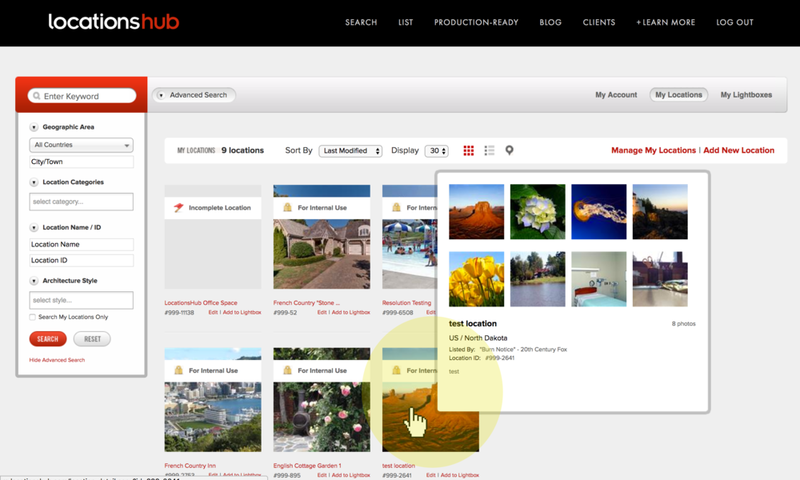 Once uploaded, your new photos will appear as thumbnails on the location page. Click "Save" or "Save and Preview." This is the most important step, if not none of the photos uploaded will be saved. Once your photos have uploaded, you can add caption to each image. To do so, click on "Edit Location Photo Captions." When the next screen pops up, you can add caption to each image. Once you've added all the captions to your liking, click "Save" or "Save and Preview."